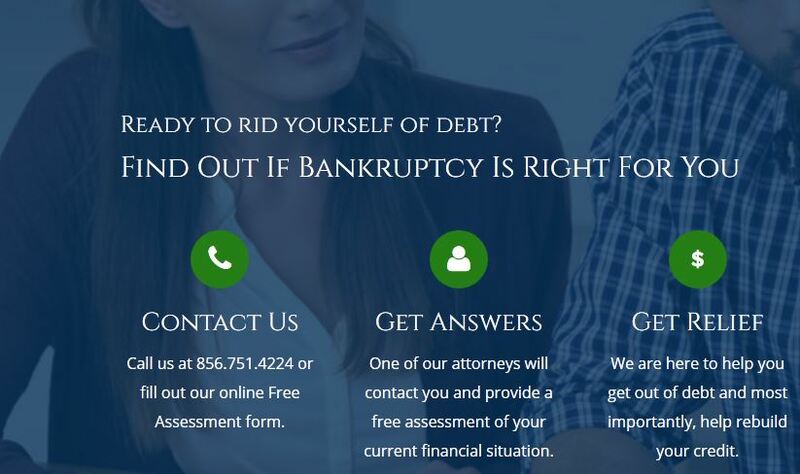 Dedicated and professional bankruptcy lawyers assisting you with removing your debt and resolving legal issues concerning the bankruptcy of your company. Lee M. Perlman, Esq have a professional team of four qualified bankruptcy attorneys ready to provide you with a free bankruptcy assessment online as well as offering live chat and support via their website to address any initial concerns that you may have. Covering the areas of financial restructuring, student loan debt and specific bankruptcy issues within Atlantic City, Central and North Jersey as well as New Jersey foreclosure defense services. Contact Lee M. Perlman, Esq today to start resolving your bankruptcy issues with fast and professional legal representation from a company that fully understand your issues.